Good morning. Hope your hump day has gotten off to a good start. 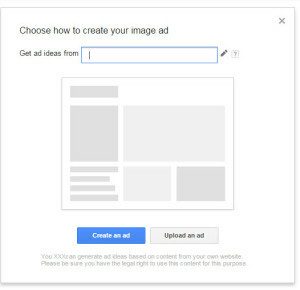 It is super easy to create image display ads for Google Adwords, I did it in about 15 minutes this morning. For this project I created a new campaign and for the campaign I wanted the display network. Fill out the details of the campaign, don’t worry so much about creating the ad just yet. Remember to start your clicks low and you can increase from there. When you’re finished creating the campaign, click the Ad tab, then click + Ad – in the drop down that appears click image Ad. Put your url in the box and click create an Ad. Google will scan your pages and come up with 6 or 7 ads for you to review. Don’t like the ads you’re presented with, go back to the previous step and choose a different page. You can edit the things that are displayed within the ad. There are some words that you can’t use – like “click”. When you’re done click save and your ad will be submitted for review. Now do track your ads and tune and tweak them. See that wasn’t so hard now. Enjoy your day!